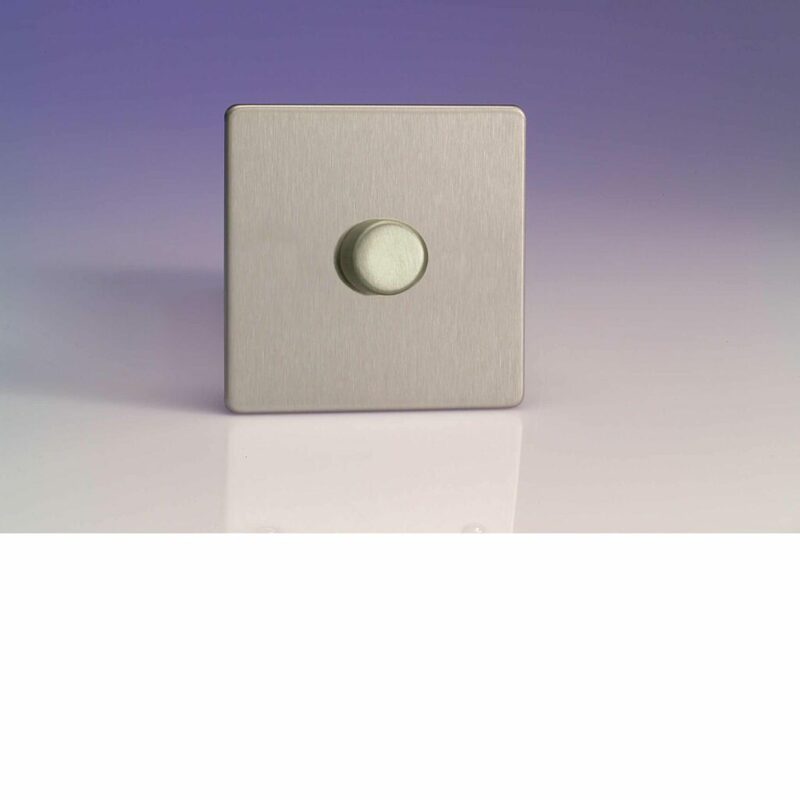 Varilight 1 Gang 1000W 2-Way Push-On Push-Off Dimmer (Twin Plate) in The Dimension Flat Plate Screwless Range finished in brushed steel. These dimmers are recommended for use with mains voltage lighting only, although they can be used to control low voltage lighting circuits but we would strongly recommend using the (IQ) Dimmer for these applications. Please note picture shown, shows the dimmer in a brushed steel finish.